CINCINNATI — A substance that led to nearly 30 people at an Ohio prison being treated for drug exposure or suspected exposure was a mixture of heroin and fentanyl, the State Highway Patrol said. Prison guards, nurses and inmates at Ross Correctional Institution in Chillicothe were treated Wednesday with the anti-overdose drug naloxone after an inmate showed signs of a drug overdose, and some people experienced symptoms consistent with exposure to the opioid fentanyl. Medical officials said symptoms such as nausea, sweating and drowsiness were reported. Fentanyl — considered much more powerful than heroin — has been linked to thousands of overdose deaths nationwide. Law enforcement officers routinely use gloves when responding to overdoses to avoid possible exposure. Also Wednesday, Pennsylvania state prisons were put on lockdown after employees at 10 prisons recently required treatment from exposure to an unidentified substance, and the Maryland Department of Public Safety and Correctional Services temporarily suspended visits at its correctional facilities until further notice in response to the Pennsylvania and Ohio incidents. Those incidents also led the Delaware Department of Correction to cancel visitation and restrict movement in all of its prison facilities, with the exception of work release and probation facilities. 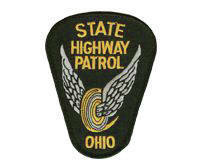 A total of 28 people in Ohio including corrections officers, nurses and one inmate were taken to a hospital for evaluation, with 24 requiring treatment, according to the highway patrol. One inmate was treated at the scene, and all but one staff member and one inmate were released from the hospital, patrol spokesman Lt. Robert Sellers said in a statement Wednesday. He declined to comment further Thursday, citing the continuing investigation. Messages left Wednesday and Thursday at the Ohio Department of Rehabilitation and Correction were not immediately returned. Pennsylvania State Police declined Thursday to discuss their investigation into the substance sickening staff at that state’s prisons, although the Department of Corrections has described it as a liquid synthetic drug that in some cases is absorbed through the skin. Prisons officials in Maryland and Delaware say their actions were taken as precautions. “We understand this may be inconvenient for family members, but we owe it to our staff and those in our custody to prioritize safety and health,” said Deputy Commissioner Alan Grinstead, of the Delaware Department of Correction. Gerald Shields, a spokesman for Maryland’s Department of Public Safety and Correctional Services, said they thought it would be “better to be safe.” Shields said they hoped to resume visits Friday. Sellers wouldn’t provide more details Thursday on the continuing investigation into what happened at the prison in Chillicothe, roughly 44 miles (71 kilometers) south of Columbus, but he said the day before that the substance possibly was dispersed into the air by a fan. Authorities have said that a total of 31 inmates were evacuated from the affected unit at the prison in Chillicothe and relocated to other areas of the prison, while a hazmat team cleaned up the area.